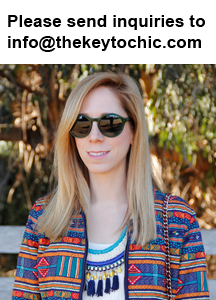 The Duro Olowu for JCPenney collection which launched recently (and which I reviewed on Fashion Trend Guide) exceeded my expectations in terms of quality and versatility. I've got a soft spot in my sartorial heart for both bright colors and print mixing, and this collection, with its abundance of global patterns - from floral and plaid to paisley and geometric - allows me to mix with minimal effort. For me, the key to combining prints in a chic manner involves following the rule of keeping the prints in the same color palette or scale in order to achieve a harmonious effect. Sometimes experimentation is required, as well as the ability to not care if strangers stare. A dash of bold colors and an amalgamation of unexpected prints is my way of saying that I'm ready for spring.